Need help with your curly hair? Here at Nuala Morey, Bristol's best hair salon, we love cutting, styling and colouring curly hair. Whether your curls are fine, medium or thick we are here to help. We understand that your hair has different needs to straighter hair. We understand that the shape is very important to you, the texture is doing what you want, and we will listen and guide you through style, maintenance and home care. We can offer excellent curly hair advice using specialist hair products that will work for you. We would love to give you great tips on how to get the best out of your curl using good techniques that aren’t difficult! Some clients have children with very different hair to their own texture so we can show you easy and creative quick ways to do your kids hair at home. Advice on curly hair is really helpful to keep all of you looking fab all the time. It shouldn’t be a chore and with some simple hints and tips, curls will be celebrated and shown off! We recognize the importance of getting the length right, allowing the curl to do what it does best which is curl! Textures can vary from a slight wave to full on frizz. Being shown how to deal with your unique texture will be liberating. It will give you the chance to really enjoy your hair. Using the wrong products can make your hair limp, under moisturized, greasy, sticky, crunchy or looking unloved. We understand that new curly clients can be vary wary and uncertain due to having such bad cuts in the past so why not just book in for a consultation or a treatment so that you can get to know us, hear the advice we have to give and then make your decision to book a cut with us in the near future. We have a team of dedicated curly stylists who have all been trained by Nuala. When booking we will need to know what type of curl you have and how long and thick your hair is. Below is a guideline. You can book an appointment online or call us at the salon. We have a team of dedicated curly stylists who have all been trained by Nuala. 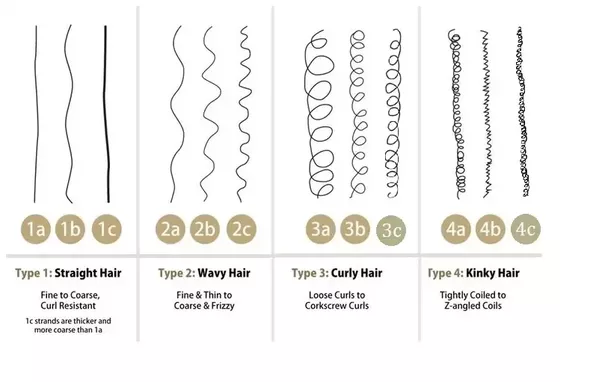 When booking we will need to know what type of curl you have and how long and thick your hair is. Prices are based on experience with curly hair. Please note that there are various cutting techniques that we will use. Some curls we may cut dry, some wet or some curls a bit of both. The stylist will determine the best course of action during your consultation. Every head of curls that we see can vary greatly in the time and attention that each wonderful head of curls will need. Below is a guidline of prices but please note that the price may vary depending on the thickness, dryness and length of your curl. Nuala Morey Salon is about loving and embracing your hair in all its natural beauty. Follow these tips in order to get the best results! DON'T arrive with a ponytail, bun, hair up in any form etc or any style that stretches or changes your hair's natural curl pattern. DON'T brush, pick or comb your hair out before your service your service. ​DO cleanse, condition and style your hair curly (with product) the day of your appointment. DO have your hair thoroughly dry. DO come with an open mind ready to accept and love your hair in all its natural glory! For best results start using a zero lather cleanser along with a "sisicone" free conditioner and styler. We look forward to meeting you and your gorgeous curls! "Good Products are key to great hair. Like a fine cocktail. You need the best ingredients with the right balance to achieve greatness." We are a different type of salon. Because we are a truly natural salon you may not receive instant results depending on the condition of your hair. Our methods take time. It is like dieting or exercising. Going to the gym once or eating one salad won't put much of a dent in your goals. The same can be said for natural hair. Please come with an open mind and patience. If you follow our methods, give us the time we need the results can be unbelievably amazing.